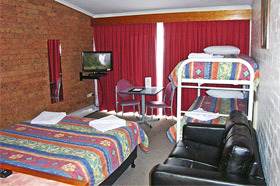 Walcha Motel is a clean and comfortable 19 room motel located right in the centre of town. 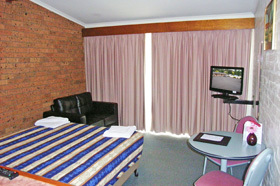 All rooms have flat screen digital TVs with Foxtel and reverse cycle split system air-conditioners. 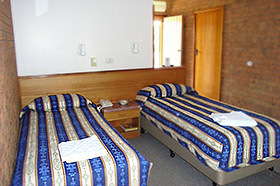 Motorcycle friendly. 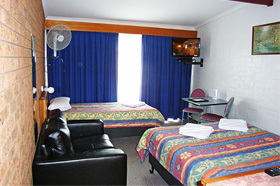 Standard 3 star room with ensuite, tea & coffee facilities, toaster, reverse cycle airconditioning, flat screen TV with Foxtel. 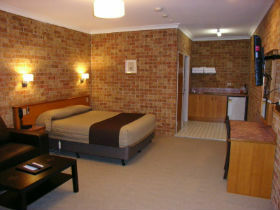 Deluxe 3.5 star room with ensuite, tea & coffee facilities, toaster, reverse cycle airconditioning, 50" smart TV with Foxtel. 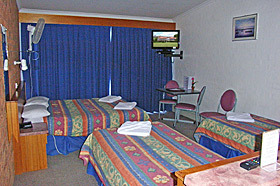 Premium Sealy pillowtop ensemble.